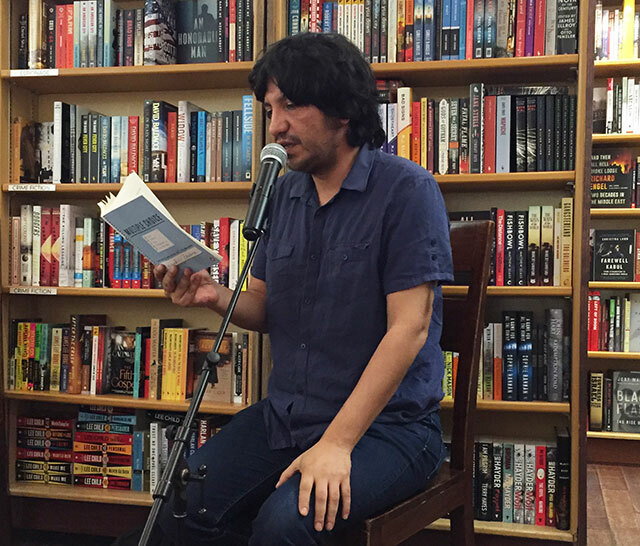 Alejandro Zambra was at McNally Jackson Books to discuss his latest work, Multiple Choice, a narrative written as a multiple choice exam mirroring the same test administered to young people in Chile seeking college admission. 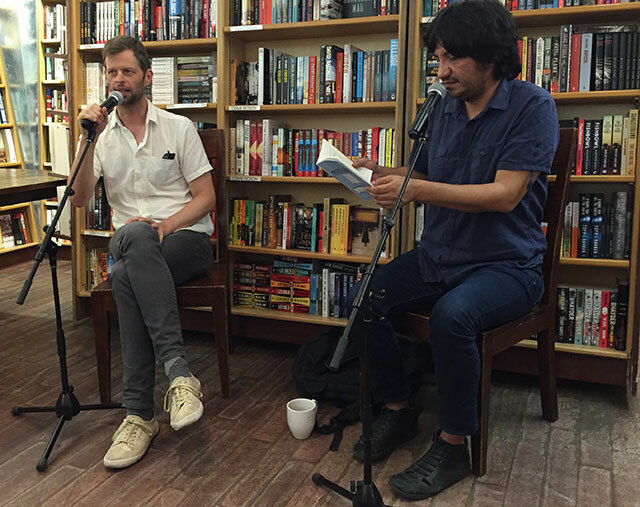 He was joined by the novelist John Wray, author of the The Lost Time Accidents. Like all Chilean students, Zambra took the test at eighteen. “I was really nervous, this was a big deal.” Zambra says he was a good student but he wanted to study literature–and yet, nobody really wants to study literature. Students are trained for years to take the test, he explains, and are tested many times before the real thing, and if a student was sick the day of the test, they had to take it the following year. Administrators threatened that students had to fill in the circles perfectly. Only later did Zambra learn that they had to be good, but not perfect. He says he spent a lot of time trying to make his marks perfect. The narrative of Multiple Choice follows the same format of the test with answers to questions in different sections. Readers could literally fill in the circles. Wray asks Zambra if he was tempted to publish the correct answers in the book. People have asked, Zambra says, but there are no right answers. “As I was writing I thought a lot about that–the right answer.” They, meaning the authority figures, told us to find the right answer, and in life you wish there is a right answer and only one. But that isn’t how things work. The whole concept of right answers became something Zambra was focused on while writing the book and says that eventually it is disheartening to learn there never is one right answer. This book came from a bad book Zambra was writing. He had started writing a book about 1993, the year he took the exam. He felt happy he was moving forward, but he knew where the book was going and ultimately that made him unhappy. He describes that book as underwhelming. As a test taker, Zambra says he rarely followed the rules. The appeal of writing novels is that it was the opposite of a test. When a writer first starts, there is a strong sense of breaking the rules. He liked literature a lot and wanted to study it but struggled to explain this to family and friends. While he was writing then, he says that now he does not like what he was writing during that period in his life. Multiple Choice is of course a translation into English. He published the original a year and a half ago, but now he can read it again. It is an experimental book even though he says he hates experimental books. He worked the translator. The first section of the book he described as untranslatable in part because he was playing directly with Chilean Spanish. It is part of the duplicity of the book. He says Multiple Choice is a disheartening book, a sad book. There is sadness and laughter. Some people say the book is funny.